Hi guys! I hope you are all doing great. Yay, the weekend is almost in sight! 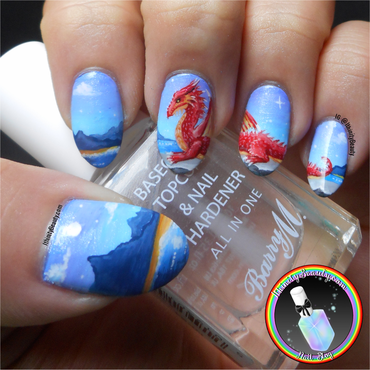 Today I have some freehand fantasy nail art to share with you, I created a mythical dragon! It looks like he's taking a break up on this cliff top. https://goo.gl/GVAghR What do you guys think? Stay awesome!